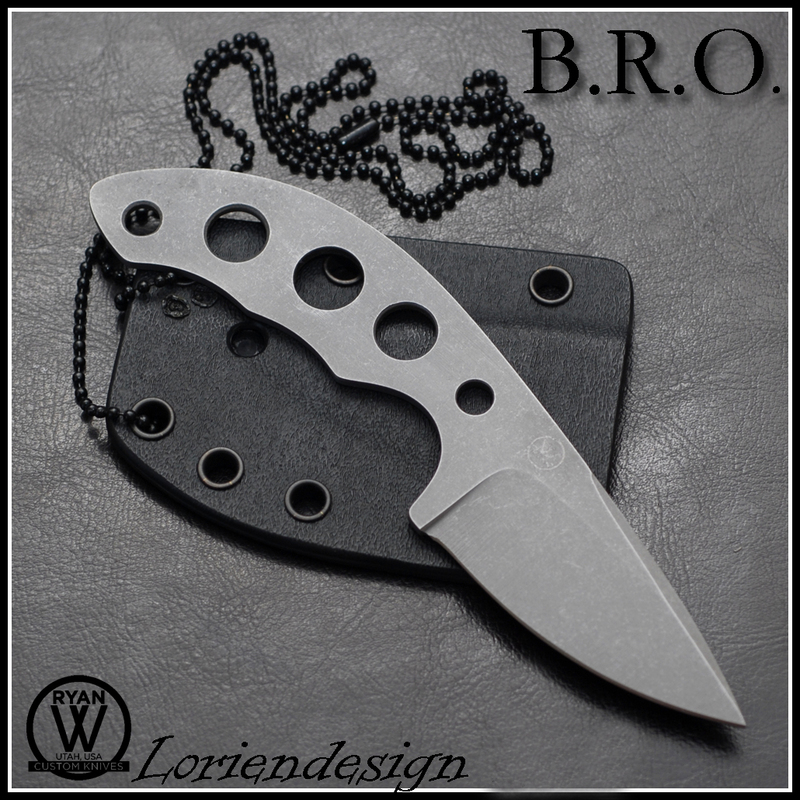 This is one of my recent collaborations with Lorien Arnold. 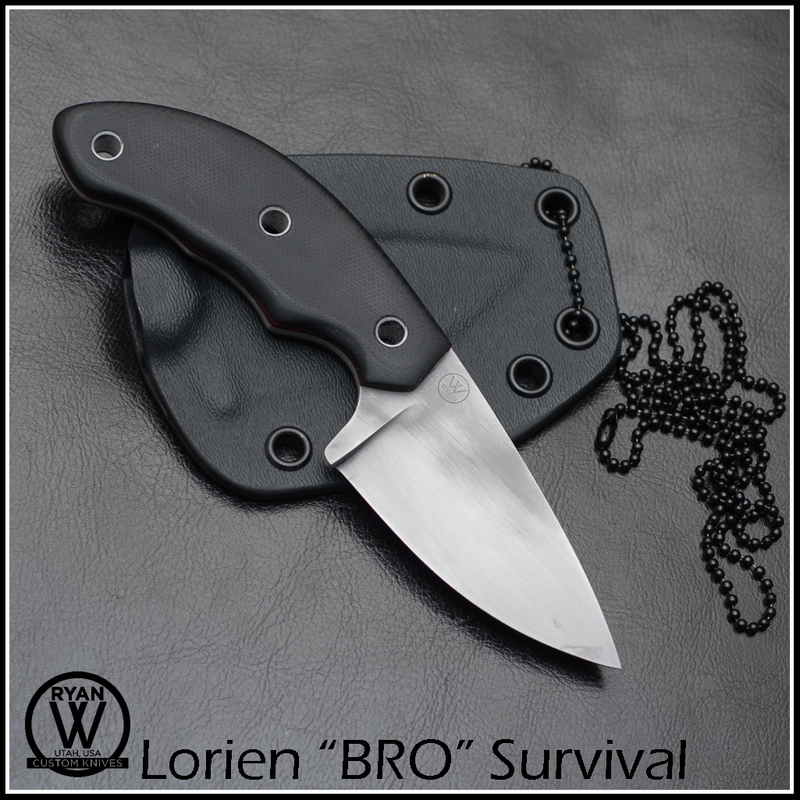 Designed as a lightweight neck knife that easily fits in a survival kit. The handle is skeletonized but can have a handle material added if desired. These are all currently made from ⅛” (.125”) 1095 High Carbon steel. 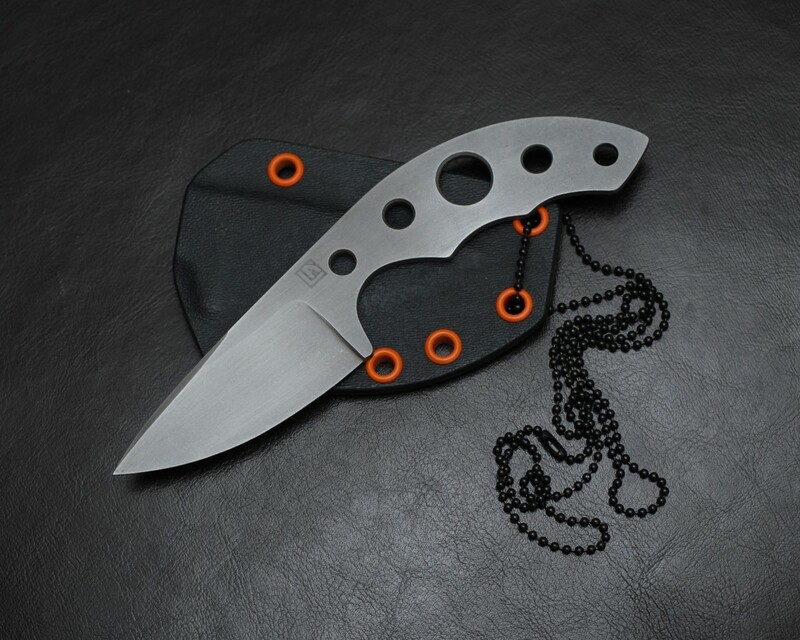 Included in base price is a Kydex neck sheath from BuyBrownInd.